Kent Ninomiya is a veteran journalist with over 23 years experience as a television news anchor, reporter and managing editor. He traveled to more than 100 countries on all seven continents, including Antarctica. Ninomiya holds a Bachelor of Arts in social sciences with emphasis in history, political science and mass communications from the University of California at Berkeley. Alpha-lipoic acid is an antioxidant that is linked to many health benefits. It helps the body remove free radicals that damage cells, tissues and organs. It might even protect you from disease and potentially reduce the likelihood of contracting liver disease, diabetes, glaucoma and stroke, according to the University of Maryland Medical Center. You don't need to get alpha-lipioc acid from your diet because your body can produce it in small amounts, but many fruits and vegetables can boost your intake. According to Oregon State University, leafy green vegetables like spinach and broccoli have the highest concentrations of alpha-lipoic acid. 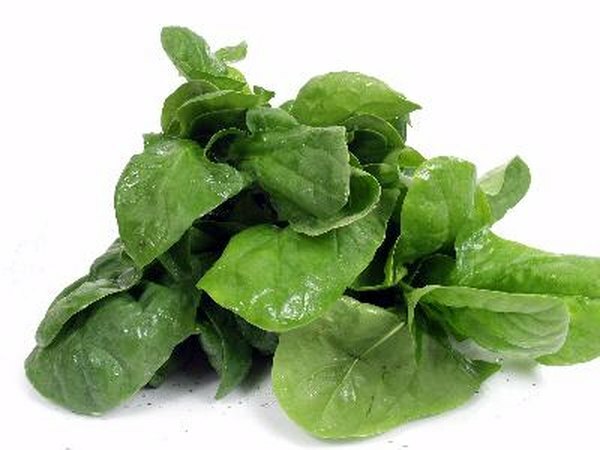 It is found in the chloroplasts of the spinach cells. The chloroplasts in the cells produce the energy or glucose in the broccoli. Spinach also comes loaded with vitamin K -- a nutrient needed for blood clotting -- as well as vitamin A. Other green vegetables also contain alpha-lipoic acid, though not in the concentrations found in leafy vegetables. The Linus Pauling Institute at Oregon State University lists peas, broccoli and Brussels sprouts as other vegetables containing alpha-lipoic acid. Add these nutrients to your diet and you'll boost your intake of vitamins C and K, as well as dietary fiber. Regardless of whether you consider them a fruit or a vegetable, tomatoes are rich in alpha-lipoic acid. Tomatoes also provide you with beneficial antioxidants -- including vitamin C, beta-carotene and lycopene -- that complement the function of alpha-lipoic acid. While fruits and vegetables are among the best sources of alpha-lipoic acid, other foods also contain significant amounts. According to the University of Maryland Medical Center, red meat and organs like kidney, liver and heart, are excellent sources. Yeast used to bake bread and ferment alcohol has ample quantities of alpha-lipoic acid. Which Foods Have Vitamin B17? What Are the Benefits of Acerola Cherry? What Are the Health Benefits of Soaked Cashews?